Artwork by Emily Nagel. Emily Nagel was born in San Francisco California and raised in Webster Groves MO. She graduated from Maryland Institute College of Art in Baltimore MD. She currently lives in Seattle WA with her husband and two sons. 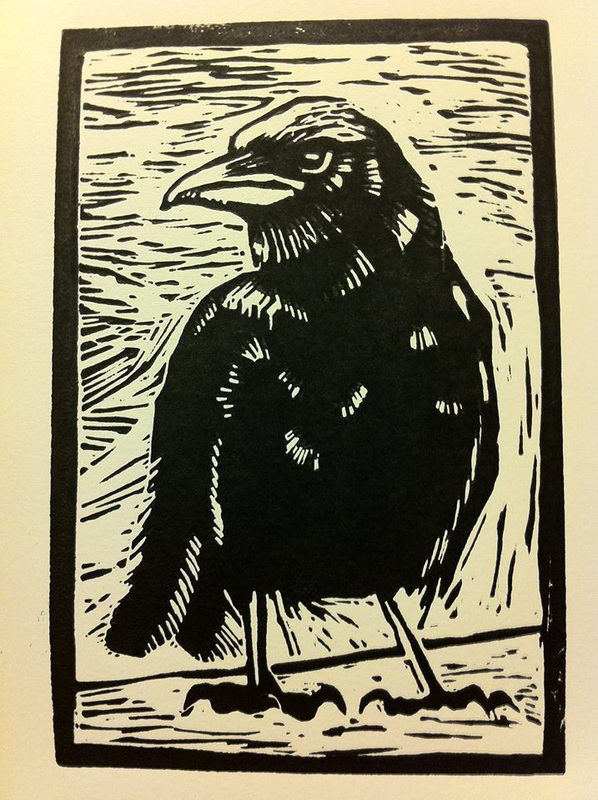 She teaches art and creates linoleum block prints. Inspired by nature, and the bold imagery that this medium allows. Plus live music by pianist Lesleigh Reinfried. Artist present. Open only until 8pm. Acrylic paintings by Frank Peterson. Monthly rotating art from local artists. 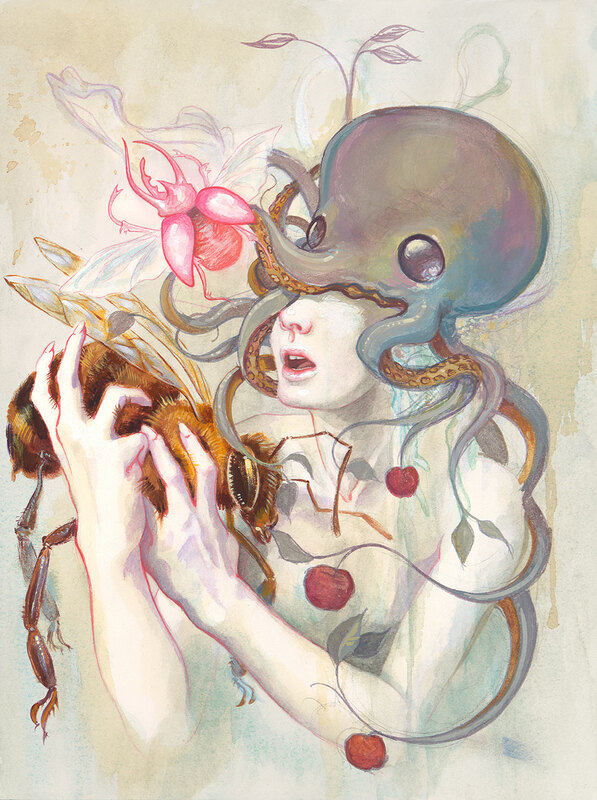 The artist line-up includes nine teams of three: Ego, Megon Shore & Amy Huddleston; Aaron Jasinski, Augie Pagan & Redd Walitzki; Chris Sheridan, Kathy Liao & Carl Faulkner; Solace, Joe Vollan & Weirdo; Levi Hastings, dear earthling & Cash; Carlos Aguilar, KSera & 179; Siolo Thompson, Braden Duncan & Vedada Sirovica; Zach Bohnenkamp, Sensei23 & John Osgood; And the Collagemonauts, Marty Gordon, Craig van den Bosch and Tim Manthey. Artists present. 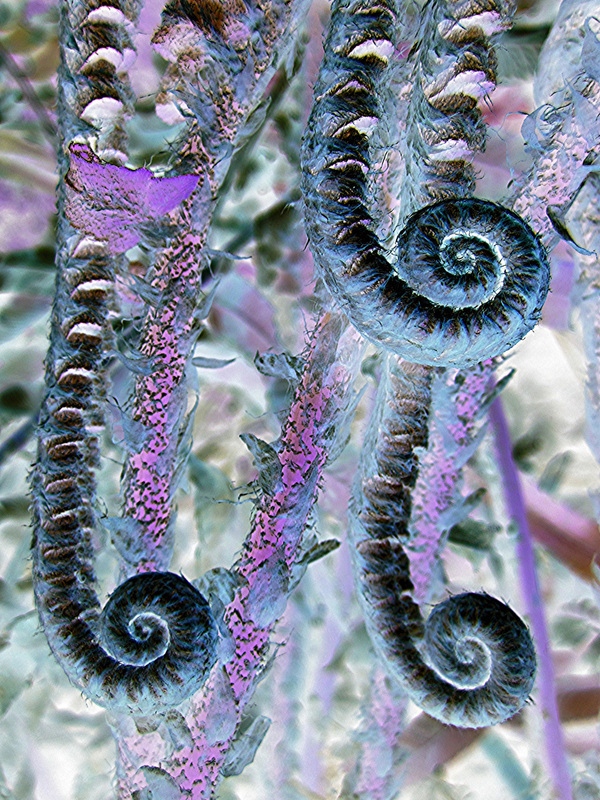 Nature photos in negative format by Aeowyn Powell. Artist present. Live Music by Underground Swing –PNW Folklore Society Concert 7:30pm. In the tradition of the Hot Club of France,Underground Swing is a Seattle-area quartet brought together by a shared love of the hip, swinging sounds of the mid-20th century. Think Django Reinhardt and Stephane Grappelli, with their gypsy jazz repertoire. They mix it up a bit with some French musette waltzes, tangos, bossa novas, and tunes from some of the great American songwriters of the jazz age. Free. Featuring the work of Echo Echo Artists: Alexandria Sandlin, Christopher J Olson, Maxx, Ripley, & Xavier Lopez Jr. Artists present. Fine art photography, jewelry and acrylic paintings by Alexis Henry, Sayla Rasmussen and Jon Moore. Artists present. Artwork by Kelly Rae Cunningham. About the Artist: My paintings began as slabs of clay, ceramic glazes, and the same tools that I use today to apply, layer, and scrape away paint. I fell in love with mixing colors and the smell of oil paint and turpentine, so I turned from clay to canvas. My work is strongly influenced by the materials I work with, not only their physical properties but their history. I paint with many mediums as they lend different qualities to the process: oil for the saturation of color and patience, acrylic for speed, collage and layering for depth, and encaustics (oil and wax) as it is tactile and most like working with clay. My paintings employ layers of color, boldly worked with palette knives and brushes. Artist present. 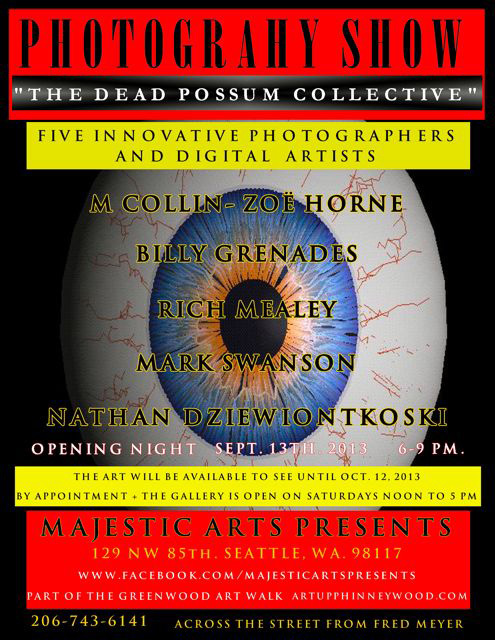 “The Dead Possum Collective” featuring five innovative photographers and digital artists: M. Collin-Zoe Horne, Billy Grenades, Rich Mealey, Mark Swanson and Nathan Dziewiontkoski. Artists present. Reverse glass art by Chris Raine. Artist present. Artwork by Jonathan Wakuda Fischer. Combining studies of traditional Japanese art with modern process and content, his work seeks to address a post-globalized world as well as his own personal biracial history. Using the aesthetic of ukiyo-e woodblock prints, I combine anachronisms and layers of homage to explore cultural dualities. In doing so, I feel like I am part of a centuries-old artistic discourse that has long addressed lineage, obsolesence and appropriation. Plus live music by Delilah Pearl and the Mantarays playing jazz standards from the era of Peggy Lee and Billy Holiday, from 7-9pm. Artist present. 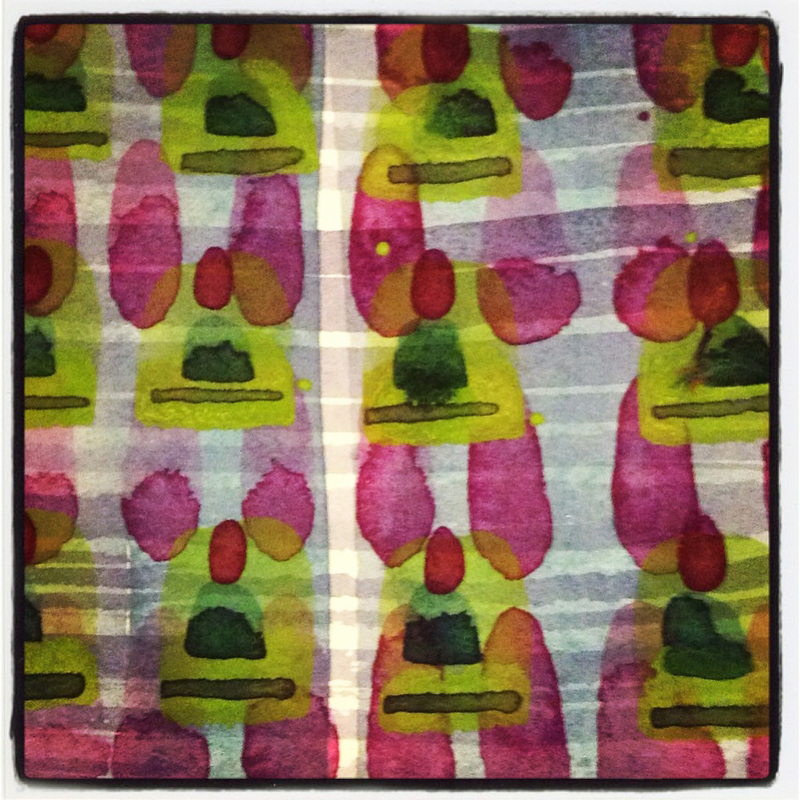 Dancing Surfaces presents 32 pieces of art from 22 multi-talented artists. The artists represented in Dancing Surfaces utilize innovative and experimental approaches to the medium of fiber in art. 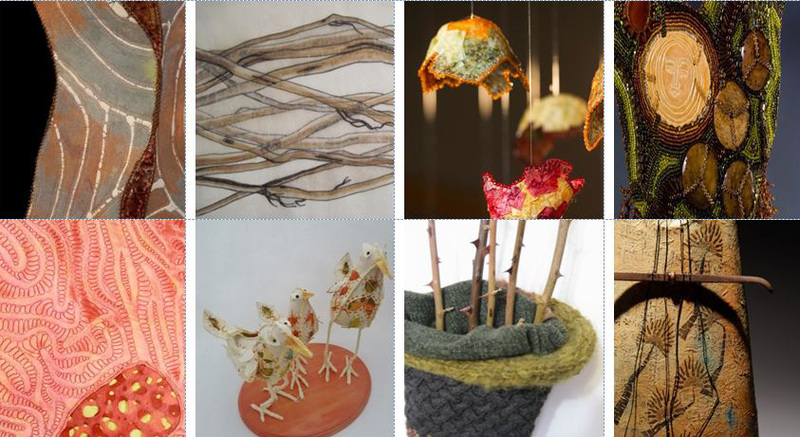 An extensive variety of materials are used to create the works on exhibit including fiber in wax encaustic paint, hand dyed silk, basketry, and felted sculpture. 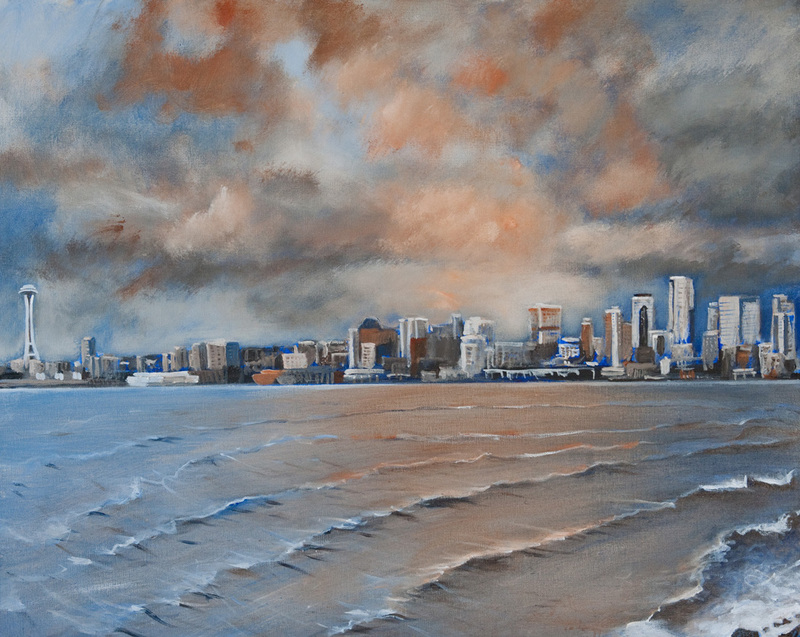 Featured artists include: Patti Belifuss, Ti Locke, Marianne Owen Beattie, Danielle Bodine, Nancy Loorem, Lynne Rigby, Lois Gaylord, Danny Mansmith, Dawn Rogal, Deborah Gregory, Cameron Anne Mason, Carla Stehr, Faith Hagenhofer, Barbara Matthews, Cynthia Stentz, Stacy Hamm, Dorothy McGuinness, Larkin Jean Van Horn, Marie Hassett, Meegan McKiernan, Judith Warren, Marianne Legg, and Barbara Zander. Artists present. Hosting neighborhood cookbook author, Jess Thomson. Jess will be promoting her newest book which she co-authored with Ivar’s Restaurant: Ivar’s Seafood Cookbook. She is also the author of, Dishing Up Washington, Pike Place Market Recipes and Top Pot Hand-Forged Donuts. Also hosting Daniel Cook, Glass Artist: Daniel L. Cook, a Phinneywood resident and biophysics professor, is primarily a figurative graphics artist but has recently turned to 3-dimensional work that exploits the transparency, solidity, and immediacy of casting glass as an expressive medium. His recent pieces are based on a single facial form, initially sculpted in clay, that appears in both positive and negative impressions. Interlaced with color elements, these forms play to layered themes of psychological opacity, reflectivity, and revelation. Our annual mixed media showcase includes 15 regional artists: Craig van den Bosch, Deviant Décor, Elise Koncsek, Eric Edwards, Frances Herring, Gretchen Fuller, Heather Scholl, Jere Smith, Kate Eggelston-Wirtz, Lampcycle, Manya Vee, Marty Gordon, Olvera Designs, RedHardwick and Wilky. 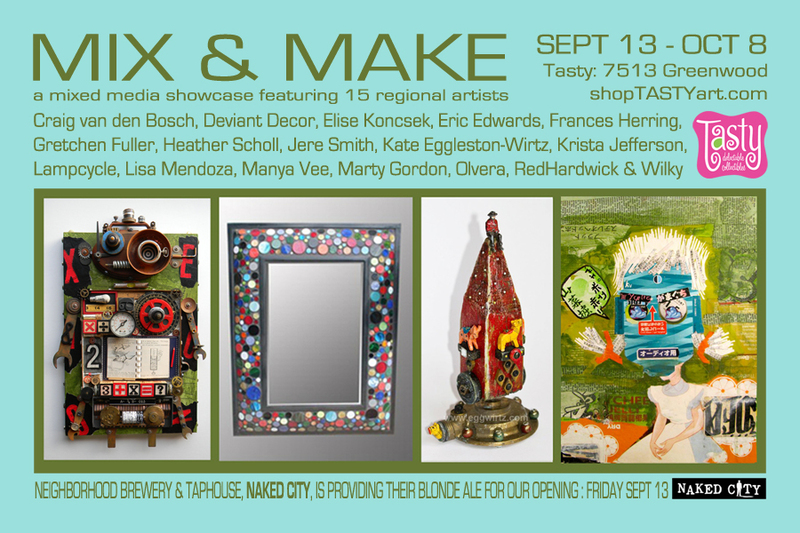 This mixed media showcase will by definition feature creative talent who create visual art using more than one medium. Specific to MIX & MAKE, we favored artists who work in collage and 3-dimensions, and thus the artists have to produce or manufacture their artworks using a more tactile process. We are excited to showcase art that has been invented, in addition to traditionally painted pieces. Artists present. Paintings, drawings, sculpture, and jewelry by Scott Faulkner, Dalton Webb, Tom Dougherty, and John Schmeising. Artists present. Artwork by Alisha Dall’osto. Inspired by the complexity and variety found in botanical seed structures, Alisha began exploring seed pod forms in a series of acrylic paintings starting in 2008. Initially she concentrated on using bold color palettes and dynamic compositions. As the series evolves, her pieces have grown in scale, and include more expressive brushstrokes, and additional media such as oil paint, pastel, and charcoal into the images. Artist present.